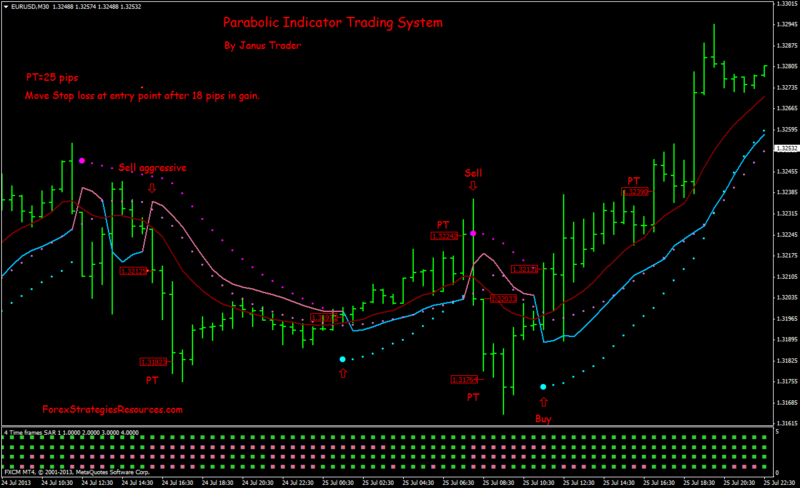 This is a Trading system based on the parabolic MT4 indicators more a Gann indicator. This is a Trend Following trading system. Tha Parabolic SaR 4 time frames indicator MT4 is the filter for entry position. 4 Time Frame Parabolic Sar. 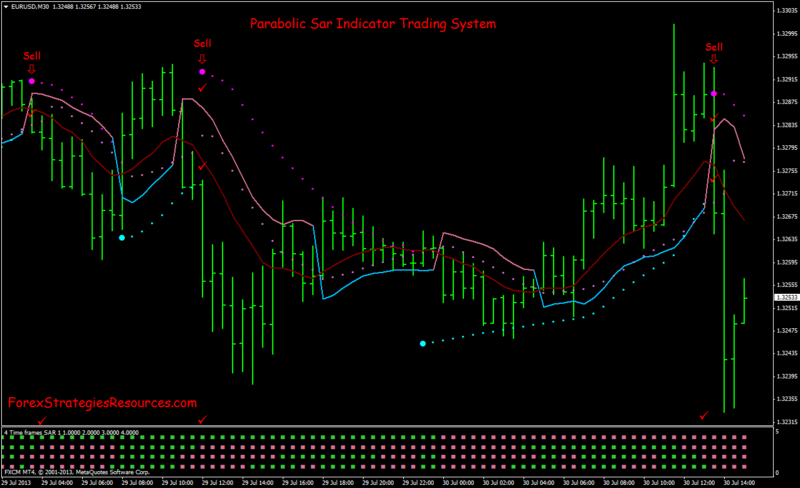 4 Time Frame Parabolic Sar indicator with minimum 3 green bars. 4 Time Frame Parabolic Sar indicator with minimum 3 red bars. Initial Stop loss on the previous sving. This Trading System with a good management position wins. Initial stop loss on the Previous Swing and move stop loss after 18 pips in gain at antry point. Fix Profit Target 25 pips. (This trading system with this management position is also good for trading with Binary Options One Touch). In the pictures below Parabolic Indicator Trading System in action. Share your opinion, can help everyone to understand the Parabolic Indicator Trading System.